Low productivity, poor rates of R&D investment, massive social inequality (New Zealand saw one of the hugest increases in income and wealth disparities between 1984 and 1994 of any country in the entire Western world) and terrible rates of economic growth.. All of this is tied in to the free market experiment Douglas virtually single-handedly conducted, along with a handful of Labour Party ministers under David Lange’s buffoonery and bluster about nuclear weapons and Polish Shipyards. The worst structural (long term) problems our economy has can be traced back to Douglas. Douglas always has loved (he still does) to talk about “eliminating privilege” despite the fact that under his Government we saw the destruction of half of the welfare state and a massive increase in inequality in New Zealand, with the rich getting richer and the poor getting poorer. Who wanted rogernomics again? oh that’s right, the NZ business roundtable. 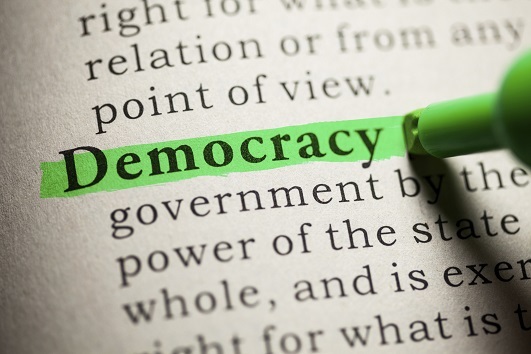 What a democracy. 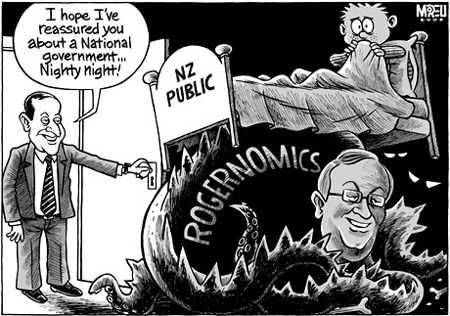 Before everyone joins in the demonising of Roger Douglas it would be prudent to consider where we would be now without the reforms of the Lange government and the consequent opening of the NZ economy. What seems to be conveniently forgotten is that NZ was close to being an economic basket case at the time of those reforms, absolutely there was considerable pain involved but what would have been the consequences of not undertaking the reforms. There were alternatives though weren’t there HS? Look at Australia’s different trajectory and how much better their economy is now. ACT is all sizzle and no steak. Douglas coming back won’t increase their vote by an meaningful amount IMO. Theirpolicies are deeply unpopular. The public does not want ACT and Key is advised to steer well clear of them, which he has done so far. Correct. The Hawke/Keating Government of 1983 inherited a mess from Treasurer John Howard every bit as ugly as Lange inherited from Muldoon. But here’s the thing: Keating, unlike Douglas, was entirely open from the beginning about what he was doing, and moreover actively tried not to alienate the people who had put him in power. For example, Keating worked with, rather than against, the unions; the superannuation scheme he introduced was part of a deal to encourage the unions to forego excessive wage demands. Keating reformed the Australian economy in a pragmatic fashion. Douglas on the other hand launched economic reforms as an exercise in far-right wish-fulfillment. This, not the idiotic “tax debate”, is the true long-term reason Australians enjoy higher wages than NZers. Labor in Aus pursued many of the same policies as NZ under Lange such as floating the Australian Dollar in 1983, reductions in trade tariffs, taxation reforms, changing from centralised wage-fixing to enterprise bargaining, privatisation (Qantas and Commonwealth Bank are two I can remeber), and deregulating the banking system. Keating flirted with GST but it wasn’t deemed politically expedient at the time. I do however agree that the Tax regime’s in either country are not the long term reason that Australia has higher wages that is obvious to any one. Yes, Keating deregulated the Australian economy. But the point is that he steered well clear of Douglas’ ideological extremes: Australia’s (more limited) asset sales were not the ridiculous 100% fire-sales that ours were, the country’s infrasture was not neglected like ours was, and Australian labour market reforms were done so as not to alienate the unions. Arguably the only country in the world that went for Douglas’ level of free-market purity was Pinochet’s Chile, and that required a fascist dictatorship to enact. The Australian Left doesn’t see 1983-1996 as a period of fundamental betrayal. The New Zealand Left on the other hand were confronted with an era that was a betrayal of their fundamental values. Theis is why Keating remains a respected figure in the ALP and Douglas is in the NZLP’s Hall of Shame.